In today’s society, there is an abundance of information everywhere we look. A recent study found that Facebook alone receives around 4 million likes in the first minute of an individual’s day. And that’s only one platform of communication. We are constantly consuming information from a variety of different platforms — from social media to television to online publications and everything in between. With so much content out there, how do you make yourself stand out? How does your organization rise above the noise? How do you make your resources and content more meaningful to prospective donors and advocates than the thousands of other organizations out there? This is not an easy task for anyone, especially in the nonprofit sector. Setting yourself apart and being able to connect with potential donors on a personal level is tricky because organizations have to be able to track and understand what their audience wants. And most nonprofits aren’t tracking their constituents across every channel down to the individual level. Over the last six months, you might have noticed that your website was generating a good amount of traffic and that your current content offers were bringing in views. But then you take a closer look at your conversions and donors generated and find they were less than you were expecting. Don’t worry...you’re not alone. 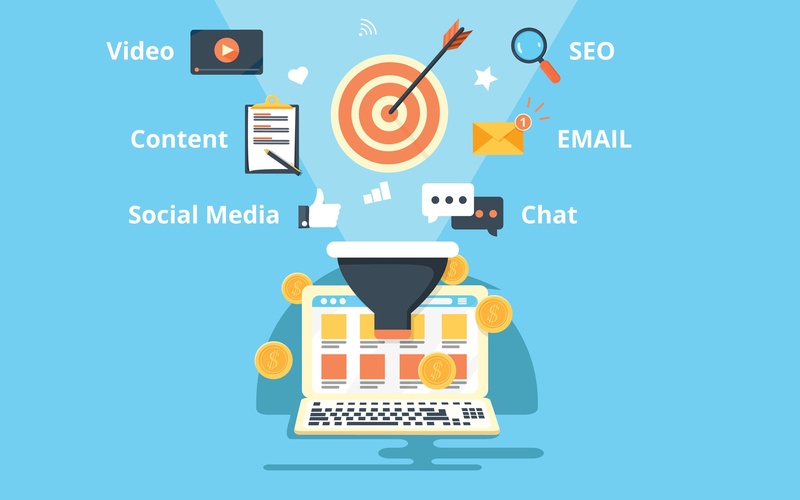 If your marketing efforts are generating increases in website traffic but not leading to valuable conversions, you need to strongly consider adjusting your approach to ensure that your website conversion rate is growing along with your web traffic. Increase your use of calls-to-action (CTAs) throughout your website. By incorporating more CTAs throughout your website (and a variety of them), you’re providing more opportunities for your visitors to convert and move a step closer to becoming supporters. This does not mean putting a CTA on every page. You need a solid strategy that is based on logic and relevancy. When you’re deciding where to distribute these CTAs, keep this important tip in mind: The CTA needs to grab the attention of the visitor, but it should not be overwhelming. It should inform the visitor about what they will receive and what the advantages are of them clicking through to the offer. 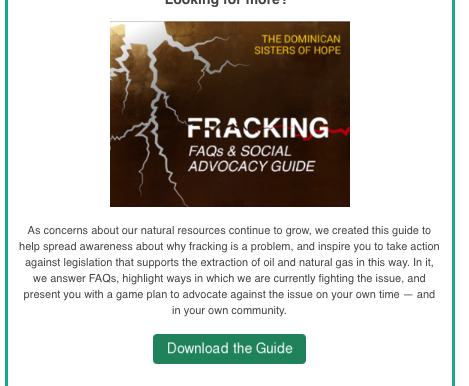 For instance, if you have CTAs that only say “Give,” “Download,” or “Donate” you should adjust the wording to be more informative, intriguing, and need driven. Alternatively, if a constituent is clicking through to a cause-specific landing page (consideration stage), this would be a great place to put a “Request More Information” form with a CTA that says “Learn More.” And when the constituent starts looking at areas of your website about getting involved, donating, or ways they can help, this would be an appropriate place to include a “Donate Today” CTA. A common question we get asked is “How many CTAs is too many?” The answer can really depend on the specific layout and visual style of your organization’s website, but the short answer is this: You don’t want to overuse CTAs, because too many will definitely turn visitors off. Generally, it’s best to have no more than two per page — one primary and one secondary. Your primary CTA could be a graphic inviting readers to subscribe to the blog, while your secondary CTA could be a stand-alone line of text that invites them to download a guide (e.g., an anchor text CTA). You also may be asking yourself this question: What type of CTA is better — text or graphic CTAs? This is a much-debated topic with data that supports both types. According to a recent study by Campaign Monitor, graphic CTAs outperform text, because they grab attention faster visually. On the other hand, another in-depth article by HubSpot shows how they have found anchor text CTAs to be more effective, because they are shown earlier in the blog post and have been more effective at catching the attention of the reader quickly and generating conversions. The best way to determine which style works for your organization is to test out both options and compare the results. What’s our personal experience with the use of anchor text CTAs? Here at DD, we’ve found that the use of anchor text CTAs is generally more effective in attracting the attention of the reader early on, resulting in more click-throughs and more engagement with the overall content vs. graphic CTAs placed at the bottom of a blog post. For instance, when we publish a blog post containing a CTA at the end of the text inviting the reader to an event, we see some engagement. But when we include an offer with the same invitation to the same event early on in the blog — using an anchor text-style CTA — our data shows that it receives more engagement. What’s the bottom line? You need to make sure your website has multiple pathways so that constituents do not come to a dead end and move on. Providing more opportunities for visitors to convert will help develop better overall conversion rates and thus, more prospective advocates. Test your CTA styles regularly to determine which type works best for your specific personas! Nothing turns off a prospect donor more than a busy, confusing, and poorly-designed landing page. For some visitors, this is their first impression of your organization. Visitors want to be able to look at your page and instantly see what your mission is, who you are helping, and how they can help make a difference. The first step towards optimizing landing pages is to create an intriguing and clear headline that draws your prospect in, while also informing them of the cause. It’s common today for people to scroll through a newsfeed or flip through pages of a magazine until they find a title that captivates their interest. The same habits are happening on your site pages. 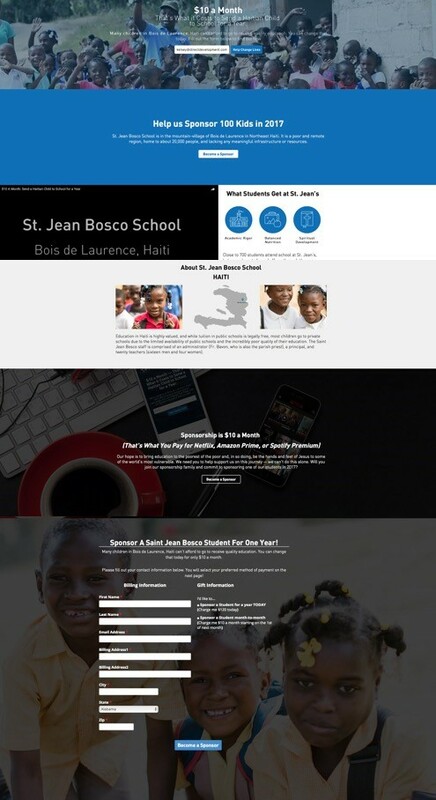 As you can see, these headlines draw people in and entice them to read on to the next tier to learn more about how they can help a child in Haiti. An important thing to include in the both the headlines and all throughout your page is keywords. You need to make sure you know your audience so that you are using keywords that they will be searching for. Incorporating the right “keyword phrases” into your title, image alt-text, meta description, and throughout the copy will help prospects find you easier and increase the likelihood of click-throughs and conversions. Next, you need to make sure that your information is well organized and easy to read, this may require you to add bullet points, numbers, videos, or images. If your information is in one big paragraph with nothing visually pleasing, prospects are more likely to leave your page, because they don’t want to invest the time. For nonprofits, images are very impactful. Not only do they help break up text and visually convey what you’re talking about, they show the visitor a real person they are helping and allow them to build a connection with. Lastly, make sure that your pages are compatible on both mobile devices and desktop systems. Just because something looks good on your desktop does not mean it will look good on a visitor’s smartphone. According to a recent marketing report on mobile usage, around 70 percent of individuals are consuming content strictly on their mobile device. Optimizing for mobile requires you to use simplicity, be concise, and test, test, test! Evaluate and revise the donation forms you’re currently using. The online donation form is the last hurdle that stands between converting a prospect into an action-taking donor. Without effective donation forms, your efforts to nurture constituents towards supporter actions will not generate positive ROI. By filling out this form, visitors are also giving you essential information that allows you to engage with them more personally in the future. Keep in mind that it is not necessary to gather all the information you possibly can about the prospect in one donation form. Do not focus all of your energy on the amount of questions you need to feed your CRM. This leads to the traditional long-style online giving form, which is much less effective today! Instead, when it comes to your online giving forms, focus on quality, simplicity, customization, and accessibility. Your donation form is a vital piece of your relationship with donors, and the user experience needs to be well-thought out. Two major important tips to consider for these forms are (1) make the form require as minimal effort as possible, and (2) ensure that the supporter can donate on your site without going to a 3rd party page. If you redirect the donor, you’re more likely to lose the donation and experience drop-off. If you have a powerful marketing automation platform powering your CRM, you should be able to use “Smart Forms.” Smart Forms are custom-made forms that automatically adjust based on the individual. Their job is to ask the right questions at the right times. This means that these forms will pre-populate known fields for a pre-existing prospect that is already in your marketing automation platform or CRM. They will also generate variable fields on the form to match where the prospect is in their lifecycle. This gives the form customization, convenience, and personalization. Based on a prospect’s recent activity, you can see he is quite interested in donating to a cause your organization is working for. 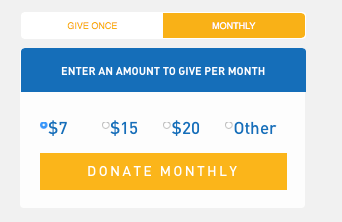 He goes to the cause-specific landing page and fills out the donation form. 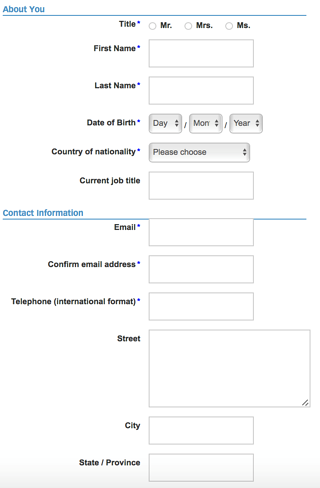 This form asks for his first name, last name, email address, and billing information. After filling out the form, he is redirected to a “thank you” page that thanks him for his generous donation and invites him to subscribe to your blog. After clicking on the CTA, he goes to the landing page for the blog and starts filling out the form to subscribe. 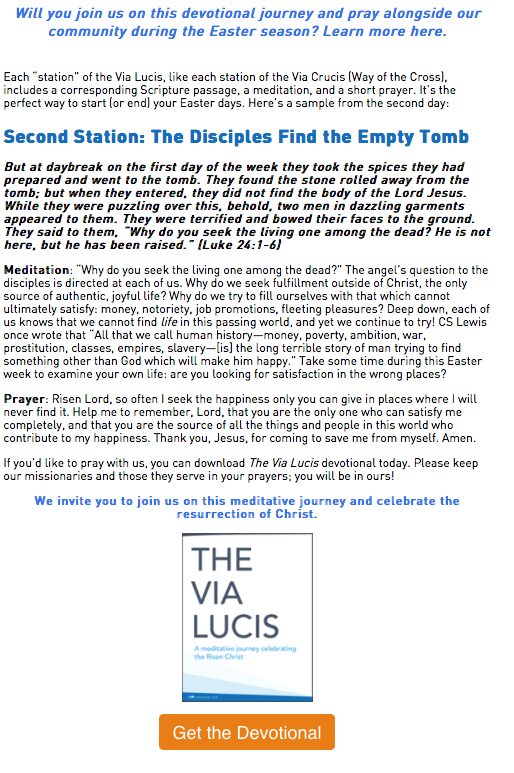 The form has already autogenerated his name and email address, but it also adds in two additional question: it asks for his phone number and any prayer requests he might have. These two options would normally not be offered to a first-time lead, but since this prospect has already been tracked in the marketing automation database, he is served a tailor-made form that helps your organization learn more about him. While this tool is a great advantage for your institution, keep in mind this is only something you can do if you have a powerful marketing automation platform — like HubSpot — powering your landing pages and forms. A smart strategy would be to evaluate all of your website’s forms to make sure they are structured properly. If not, it’s worth the investment to make the necessary revisions in order to please your prospects and increase your conversions. These inbound marketing tactics can make a huge difference for your non-profit organization and the cause it is supporting. At DD we are very passionate about working with our clients and watching them succeed in gaining dedicated supporters and generous donors each year. 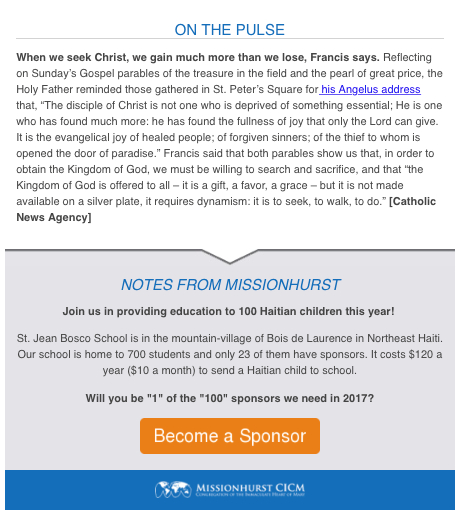 Every new conversion, whether it is downloading a guide or donating to a cause, helps make a difference in the lives of those in which we are advocating for. I hope the tips I provided have been helpful and will give you a firm starting point in increasing your website conversion rates! Interested in other tactics to drive conversions? Check out How One Piece of Content and a Few Facebook Posts Elevated a Nonprofit to New Heights!